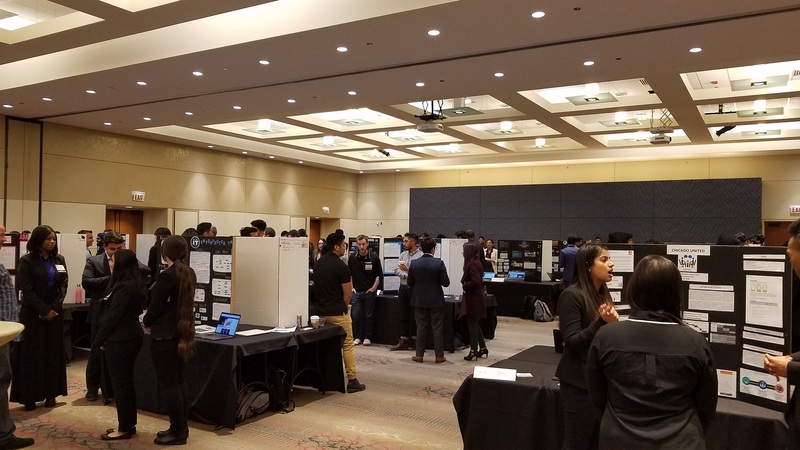 On Friday December 7th, SAP’s Dave Fowler, Gary Nelson and I were privileged to represent SAP at two important student engagement events at the University of Illinois Chicago. The first was the Employer Meet & Greet – an informal job fair. The event was be open to Information & Decision Sciences, MIS, and Business Analytics students. There was a diverse mix of graduating seniors and graduate students in attendance since this event was attached to the Project Expo. We discussed SAP internship and full-time opportunities and were pleased to sign up dozens of students for SAP’s talent community. The second event was the IDS Project Expo – part of the MIS, IDS, and Business Analytics Capstone classes. It was set up like a science fair with student consulting teams standing next to a display of their work product. This was a great opportunity for us to get a look at actual work product and hear the students articulate what they had done while serving as judges for the Expo. These were live SAP Next-Gen consulting projects completed for local businesses and non-profits and demonstrating innovative solutions for real clients. Four of the projects had significant SAP content: two related to early adoption of SAP Leonardo blockchain solutions and two related to business process improvement opportunities. Through a unique collaboration between UI Health, SAP, Bosch and Medline, two projects were undertaken to develop proof of concept applications that can intelligently track and manage equipment used by patients, such as wheelchairs, walkers and other equipment, leveraging sensor, IoT, blockchain and other advanced technologies. In addition, another SAP customer sponsored two projects related to process improvements in customer service and customer relationship management. Through the newly formed Next-Gen Chapter at the University of Illinois at Chicago (UIC), the UIC College of Business and College of Medicine are collaborating on delivering digital innovation to the life sciences. The Next-Gen Laboratory serves as a center of knowledge that concentrates expertise and resources in exponential technologies. In addition to being a hub for networking and knowledge exchange, Next-Gen provides member firms with access to resources that would not otherwise be easily or economically obtainable. Through Next-Gen’s co-innovation partnerships, enterprises have exclusive access to early talent, futurists, systems thinkers, designers, strategists, modelers and data scientists to help innovate and solve complex problems. Next-Gen provides firms with a cost-effective alternative to rapidly realize innovation outcomes that would not be easily achievable in a normal corporate environment.